Five days, you guys. FIVE DAYS! I’m like a kid bursting with excitement for Christmas. Speaking of kids, mine are in school through tomorrow and then the end of the week they’ll be home! I love when they have days off of school, but especially around Christmas. We have done an embarrassingly small amount of baking so far this season but we’ve been enjoying our holiday activities and sweets in other ways. Our almost daily hot chocolate routine has become our favorite time of each afternoon. With them off of school the end of this week, I have a special version of hot chocolate up my sleeves for Thursday: Stovetop Cinnamon Hot Chocolate! This recipe for Stovetop Cinnamon Hot Chocolate is a pretty standard stovetop hot chocolate – whole milk, cocoa powder, and sugar get heated up, but this time, I’m adding in Campfire® Holiday Mix Marshmallows! This mix is a blend of pink stars and green trees that are flavored with cinnamon and vanilla. 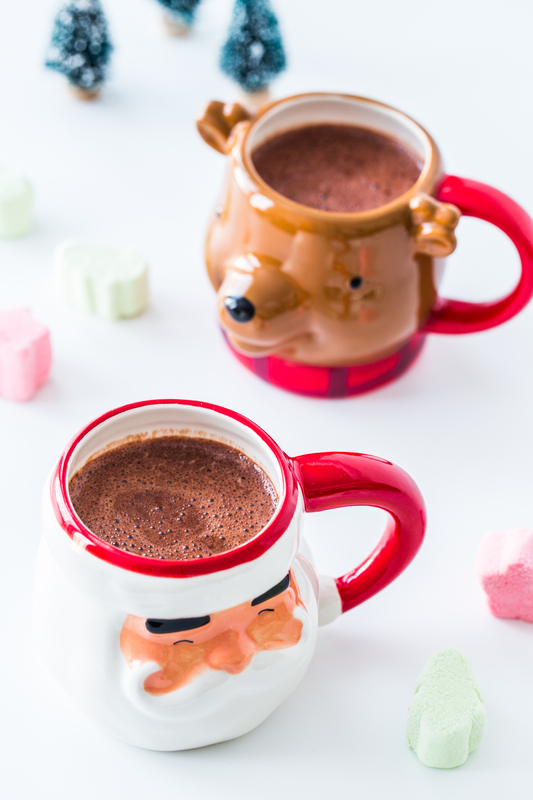 Adding in a handful of the marshmallows and melting them into the hot chocolate gives a pop of cinnamon and vanilla flavor not to mention a rich, fudgey texture to the hot chocolate. This is hot chocolate worthy of a vacation day, that’s for sure! 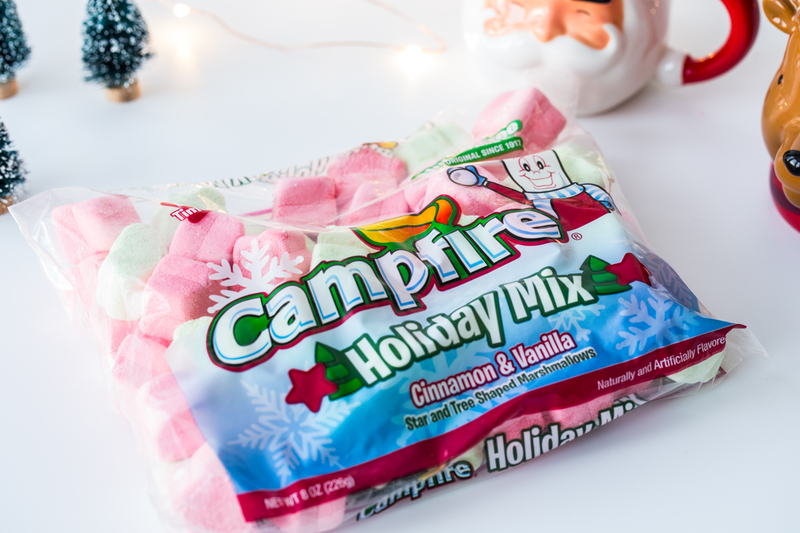 It’s fun to go all out and add some whipped cream, as well as some additional Campfire® Holiday Mix marshmallows on top. For more info about Campfire® Marshmallows and their seasonal offerings, visit them on their website as well as Facebook, Pinterest, Twitter, and Instagram. 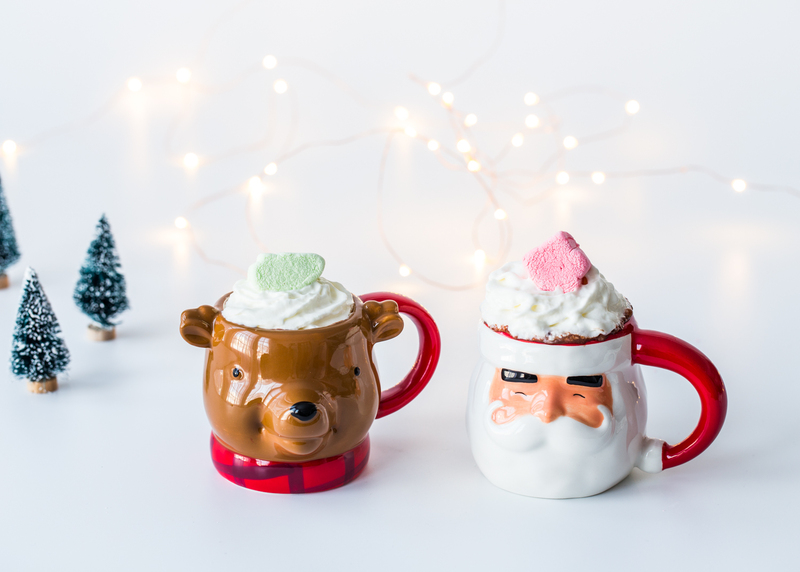 If you are into these adorable holiday mix marshmallows, be sure to check out my Cinnamon Marshmallow Mug Brownies and Marshmallow Fudge Bark! Both quick and easy holiday treats to get you through this last week until Christmas! Merry Christmas and Happy Holidays, my friends!! Heat milk, unsweetened cocoa powder, sugar, and cinnamon (if using) in a small saucepan over medium heat. 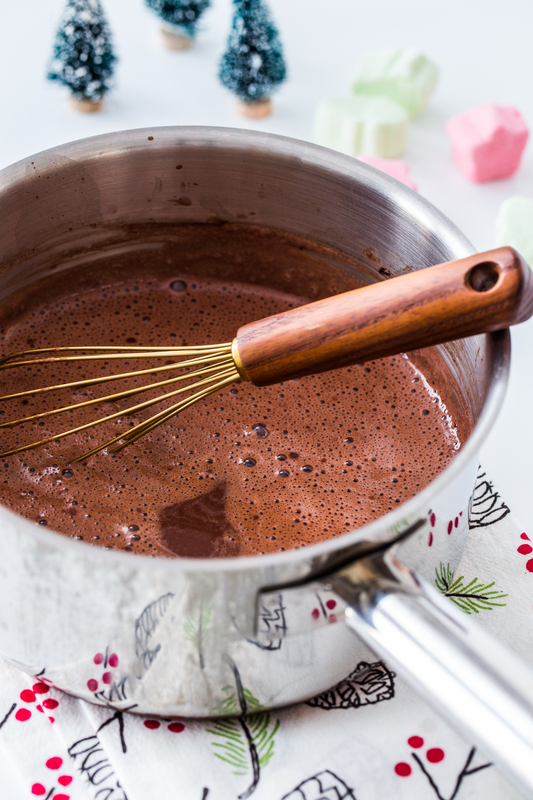 Once sugar and cocoa powder are dissolved, add marshmallows and stir constantly until marshmallows are melted into the hot chocolate. 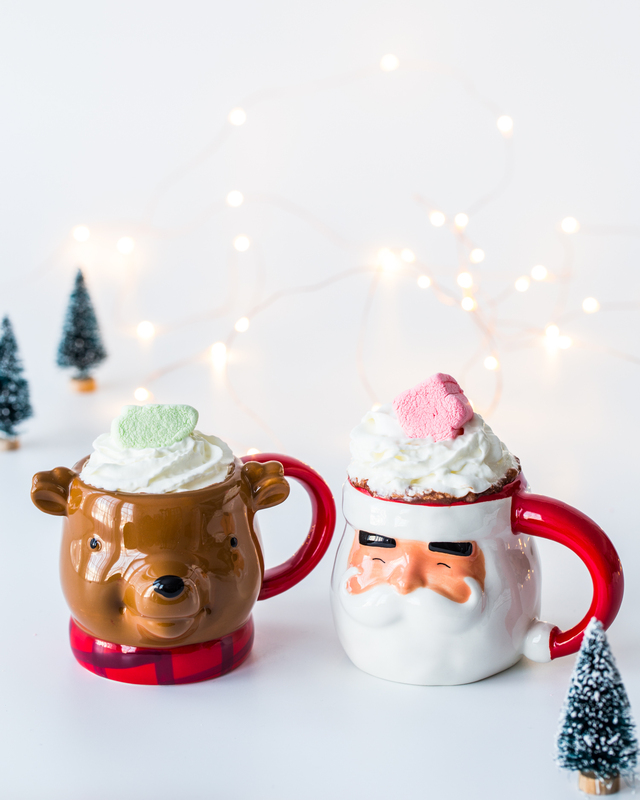 Top with whipped cream and more holiday mix marshmallows and serve!